4oz sauce containers used for serving sauces, salad dressing & other condiments (LIDS SOLD SEPARATELY). Facilitates effective portion control. Round containers can be purchased with lids that fit securely to prevent spillages whilst in transit. 4oz sauce containers used for serving sauces, salad dressing & other condiments. Facilitates effective portion control. 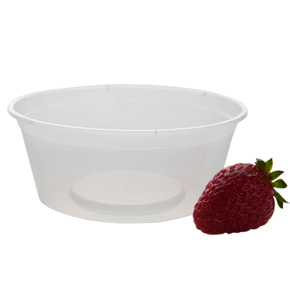 Round containers can be purchased with lids that fit securely to prevent spillages whilst in transit. Our sauce containers are used to transport & serve salad dressing, sauces & other condiments. 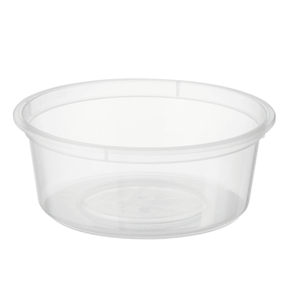 The plastic containers are available in a range of sizes, which allows restaurants to determine the correct portion size to allocate. 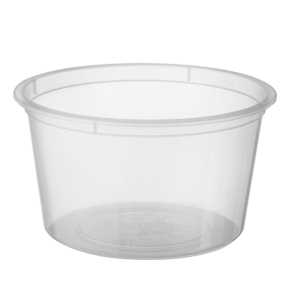 Our portion cups have a clear aspect that will enhance the presentation of the food. 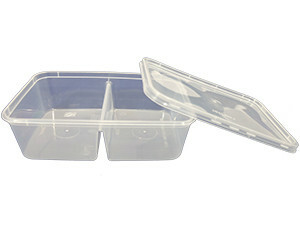 All sauce containers are available with lids that fit securely to avoid messy spillages (lids sold separately).